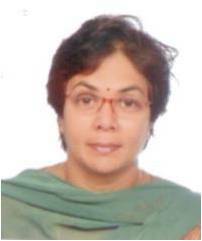 My name is Anjali Kanhere and I am working as an Associate Professor in Department of Obstetrics and Gynaecology at People‟s College of Medical Sciences and Research Centre. I was born in Thane, Maharashtra. I did my schooling through various schools as my father was a Central Government employee in the Department of Telecommunications. 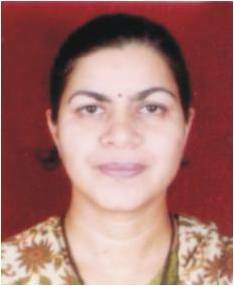 I did my MBBS from Gandhi Medical College Bhopal in 1989 and MD in Obstetrics and Gynaecology in 1992. I am married to a Cardio Thoracic Surgeon and went to the US and Australia and stayed there for many years. I got the opportunity to work there in a university hospital. After coming back to India, I worked as a Private Practitioner for a while and moved into this Private Medical College in the phase of its inception. I love to cook and watch old Hindi movies. I have been blessed with two sons. I like teaching students and am always looking for new ways to make my classes more interesting. I am 42, heading department of surgery of a rapidly upcoming medical college in central India. 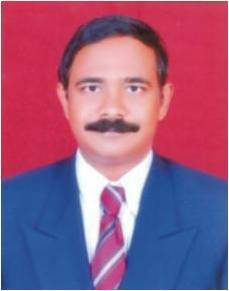 I have been in active teaching since last eighteen years and is examiner both for undergraduate and postgraduate courses.I am trained in Hospital administration, Advanced Trauma Care and Laparoscopy and had served our organization as Medical Superintendent for period of time. I am a part of editorial board for People‟s Journal of Scientific Research. I am co-coordinator of fully operational Medical Education Unit at our institute. My keen interest is in Medical Education, Trauma and Laparoscopy. I am brought up at Aurangabad and I am here all because of my mentor for which I am grateful to the almighty. My wife Shubha and son Sumedh are a source of confidence and support to me. I enjoy sharing views, ideas with new persons around. 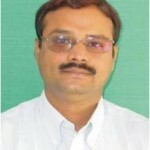 I am Deepak Phalke , currently working as Professor & Head in the Dept. of Preventive and Social Medicine (Community Medicine) in Rural medical College of Pravara Institute of Medical Sciences, Deemed University Loni located in Rural area of Western Maharashtra, India. My special interests are trying innovative approaches to make teaching in my subject interesting, community based ,skill oriented as proposed by Vision-2015 document of MCI and developing resources for learning including manual on epidemiological skills, manual for field visits, developing indoor & outdoor museum, making use of Video CDs in teaching, family study and community oriented medical education, problem based learning, student and Intern‟s research projects, arranging Integrated Teaching seminars etc. I was born in Satara District, in Maharashtra. 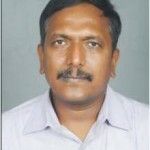 I completed my MBBS from Dr.V.M.Medical College, Solapur and MD in PSM at Government Medical College, Miraj. My father is ex-serviceman and Agriculturist . 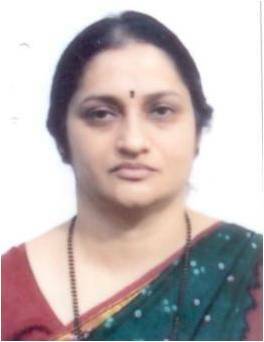 My wife Dr.Vaishali is Professor in PSM at the same place and daughter Rucha is studying in 8th standard. My interest ranges from spiritual health on one side and Agriculture (commonest culture in India) on other side. It is a great pleasure to be given an opportunity to share our views on medical education and seek guidance from eminent National and International experts. 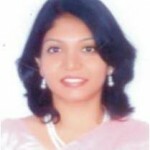 I am Gauri, a pediatric dentist by training and a teacher by profession. I am very honoured, happy and excited to have been selected for GSMC-FAIMER Regional Institute Fellowship. Born to parents who are great teachers, I guess I was genetically predisposed to loving the „task‟ of teaching! The environmental component came in the form of my husband Shailesh, who is one of the few inspirational teachers in dental education. He too has been selected this year for FAIMER Fellowship, Philadelphia. We are blessed with a wonderful daughter, Shriya, an avid Bharatnatyam dancer and writer, who has appeared for her ICSE this year. I love interacting with children, be it my students, or my patients! I love to read, knit and listen to old melodious songs. I enjoy learning languages, and have acquired a diploma in French language. I am looking forward to this as an enriching experience, which would help me become a better teacher. Interacting with faculty from other allied fields wuld also present diverse perspectives, and help broaden horizons for all of us. 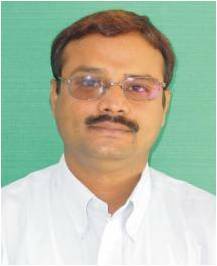 I am Dr Kuldeep working as a Professor and Head in the Department of Pediatrics at Sri Aurobindo Institute of Medical Sciences (SAIMS), Indore. I am also working as Coconvenor of the Medical Education Unit and looking after Institutional Ethics Committee as a member secretary. 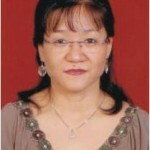 I have special interest in use of multimedia for teaching and training of health professionals and public. I am involved in teaching medical and allied graduates and postgraduates. 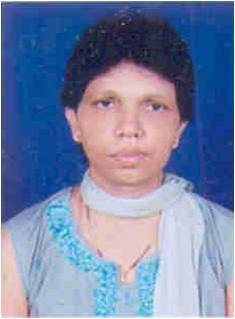 I was born and brought up at Lucknow, Uttar Pradesh and completed all my education there. I did my MBBS and MD in Pediatrics from King George‟s Medical College, now known as Chatrapati Sahuji Maharaj Medical University, Lucknow. With interest in congenital disorders, I did my DM in Medical Genetics from Sanjay Gandhi Post Graduate Institute of Medical Sciences, Lucknow. This has been a turning point of my life when I became highly interested in medical education. With a short stay at Himalayan Institute of Medical Sciences, Dehradun, I have settled down at Indore and working with SAIMS since 2004. 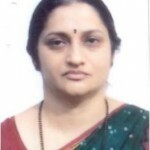 My wife is also working as an Associate Professor in Obstetrics and Gynecology at same college. We have 2 kids- Basu (12) and Akanksha (6) who are studying at DPS, Indore. My father is retired engineer and mother is a housewife. 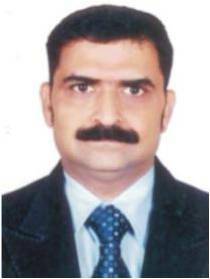 My one younger brother is working as a General Manager at Indore. Beside academic, research and patient care, I have interest in Music and digital media. I have my own personal website. 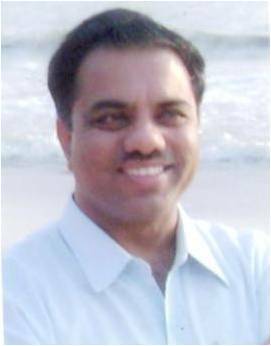 I am MVR Reddy, a biochemist at MGIMS, Sevagram in Maharashtra. I am originally from a small village in Kurnool district of Andhra, where my parents used to be in cultivation profession. Three long decades of my association with MGIMS, I must say started by chance when I joined this institute for Ph D degree after completing M Sc from SV University Tirupati. I am involved in training the UG, PG and Ph D students and also in continuing active research & training activities in the Dept. My current rresearch interests are molecular studies related to filariasis and evaluation of immunomodulatory & therapeutic role of filarial proteins in autoimmune diseases. My wife is a school teacher and I have two sons, who are college-going. My other interest is in both Indian and western spiritual literature. I believe in what Buddha said „there is no way to happiness, happiness is the way‟ and we should continuously strive to bring positive vibrations wherever we are. I got interest in the Faimer fellowship programme after interactions with number of my colleagues, who are the Faimer alumni and /or faculty. Looking forward keenly to meet and interact with the other fellows of 2011 and GSMC Faimer faculty. 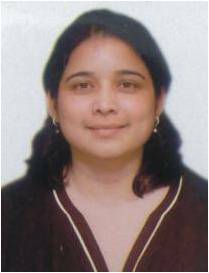 I am Parineetha, currently working as an associate professor in the department of Chemical Pathology at USM-KLE International Medical Program, Belgaum, Karnataka. Firstly let me just tell about my institution. I was born in Bangalore, I grew up in Dharwad, did my MBBS from KMC, Mangalore (1995), and MD Biochemistry from KMC, Manipal (2004). Initially I joined Yenepoya Medical College, and after 6 months went back to my alma mater and worked in Melaka Manipal Medical College for 2 years. Destiny had other plans for me and I joined a government medical college – Belgaum Institute of Medical Sciences and worked there for nearly 3 years. When I heard about this international college, I jumped at the opportunity and now I am in USM-KLE IMP from January 2010 till today. I have one daughter who is now in sixth standard. Both of us go together for music classes, she is learning key board and I am learning to play the guitar and hope one day I will be able to reach at least my daughter‟s level. I love reading and my favorite book is “Life of Pi” by Yann Martel, and my favorite author is Dan Brown whom I admire for his versatility. There is a saying in Sanskrit-“Then vena trunamapi na chalti- even a blade of grass will not move without His say”- this is my philosophy of life. 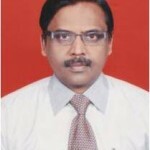 I am also doing my MHPE from KLE University, 2011 Batch. I am eagerly waiting to expand my horizons, and meet the rest of my fellows at Mumbai. I hope that this journey of ours will be fulfilling for all of us and help us to increase our repertoire of teaching skills. 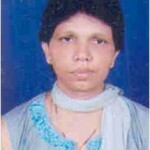 I am Rajashree, born and bought up in Mumbai. I did my Bachelor of Physiotherapy and Master of Physiotherapy both from Seth G.S. Medical College & K.E.M Hospital, Mumbai. Immediately after my Master‟s, I got the post of Lecturer in Physiotherapy at the same institute in 1988. 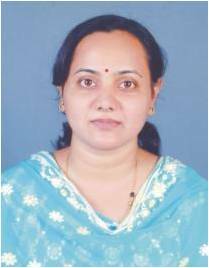 I continued to be a part of GSMC till 2008 in various capacities, as a Lecturer, Associate Professor and Professor, till I got promoted as HOD of Physiotherapy to Lokmanya Tilak Municipal Medical College. It was a very difficult phase of my life, being a complete GS ite, to get adjusted to this new place. But from my experience I can now say that any change is always better. It is not at all easy but you do learn to deal with different kind of situations and evolve as a person. I am quite a perfectionist in whatever I do and I know sometimes this can really be bothersome to my family and my colleagues. I love to read, listen to music, especially old Hindi songs and gazals and can remember most of them by heart. I am also trying to; earn semi-classical vocal music, purely because I enjoy it. I am a reasonably good cook and love to try out new recipes with my eleven years old daughter Mihira. I am actively involved in the Medical Education Unit of LTMMC presently and am eagerly looking forward to the GSMC-FAIMER workshop in June as I am sure there will be a lot of exciting new ideas and concepts to learn. I am also waiting to interact with my co-fellows as it would definitely be an enriching experience. I am Dr. Sanjay Gupta currently working as an associate professor in the Dept. of Forensic Medicine & Toxicology at Pramukhswami Medical College, Karamsad, Dist. Anand (Gujarat). My special interest is in research in medical education. Human disability is the area where I want to work extensively. I am mainly involved in sharing my knowledge with medical students, faculties and other allied health sciences students and try to learn from their experiences. I was born in Hindaun City, Kaurali District, Rajasthan. I have completed my schooling there from a government school. 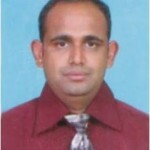 I did my MBBS and MD in Forensic Medicine from Government Medical College, Surat during the year 2003 & 2006 respectively. 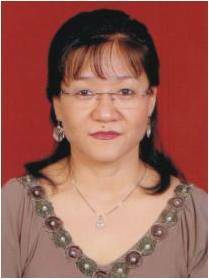 I joined PSMC, Karamsad as assistant professor in the department of Forensic Medicine & Toxicology in February 2007. I pursued my DNB from National Board of Examiner, New Delhi in the year 2008. Presently, I have total 12 publications in various National & International Journals. 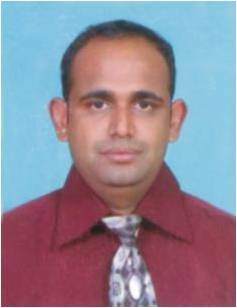 I am working as Assistant Editor, Member of Editorial board and peer reviewer in some journals. I have also written a book of my specialty for medical students. My wife Nikita is dentist by profession and associated with same hospital where I am working. I have one daughter who is in primary school at Anand. I love to read and write. I enjoy cooking. I believe, not in believing but in doing. 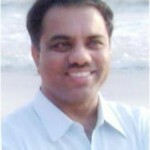 I am Dr. Santosh Salagre. 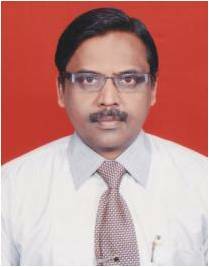 I work as an associate professor and unit in-charge in the department of medicine at Seth G.S.Medical College & K.E.M.Hospital,Mumbai. I also head the „Hypertension services‟ of my institution.I have been working in this institution for the past 17 years. I was born in Panchagani. I completed my schooling from Parle Tilak Vidyalay,Vile Parle . 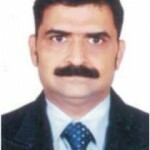 I graduated from T.N.Medical College,Mumbai in 1990 and completed my post-graduation in General Medicine from Lokmanya Tilak Municipal Medical College,Sion in 1994. 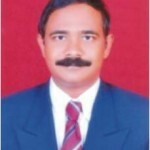 I was awarded the Fellowship of Indian College of Physicians (FICP) in January 2010. 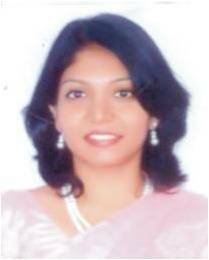 Currently I am pursuing MBA course in Hospital & Healthcare Management from ITM, Panvel. My areas of interest are Hypertension, Geriatric Medicine, Infectious Disease and Emergency Medicine besides Administration and Medical Education. 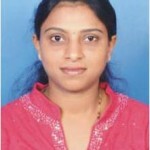 I am undergraduate and postgraduate examiner for MUHS, Nashik. Apart from Indian & international scientific publications, I have written several articles on health education in local dailies & health magazines. I have organized various community health camps for senior citizens, the underprivileged section of the society, bank employees, traffic police & Mumbai police. Other than academics, I have keen interest in music, dance, cooking and travelling to new places and exploring newer avenues. I strongly believe that a medico‟s life should not be monotonous but should have various facets to it, which will give it a newer dimension and make it worthwhile. I am very glad at being selected for the FAIMER programme .I look forward to a fruitful interaction with teachers and colleagues in this process of bettering myself as a medical professional. Hello! 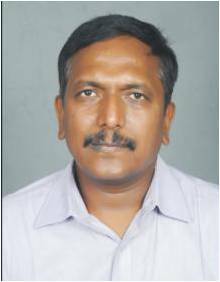 I am Dr. S. V. Kshirsagar, presently working as Professor and Head, Department of Anatomy, Bidar Institute of Medical Sciences, Bidar. I did my M.B.B.S. at M.I.M.S.R. Medical College, Latur and M.S. at S.R.T.R. Medical college, Ambejogai. I started my teaching carrier in 1997 at S.R.T.R. Medical College Ambejogai and joined the present institute in 2006. I love teaching and enjoy it. I am keen to improve myself as a medical teacher. Over the time I realised that, to be subject expert is not enough but we must be expert educator also. This led me to take more and more interest in the field of medical education. I have attended number of workshops, basic and advanced courses on medical education. As an organising secretary, I have conducted a workshop on medical education at our institute which received a warm response. I am of course interested in my subject. I have presented and published a number of papers. I am in the panel for undergraduate and postgraduate examiners in many universities. Recently our department succeeded to get permission to start PG course. I was secretary of Medical Lecturer‟s Association at S.R.T.R. medical college, Ambejogai for three years and presently I am secretary of BRIMS Doctors Association. Apart form these there are many fields of interest like reading, travel, friends, meditation..! 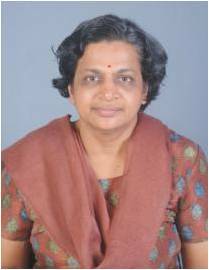 I am Sarala Menon, currently working as an Associate professor in the Dept. of Microbiology, Grant Medical College & Sir J J Hospital, Mumbai. I teach II year M.B.B.S. students as well as other health science students. I also enjoy coaching post graduate students in Microbiology. In addition to teaching I have been given the responsibility of Diagnostic Mycobacteriology, Mycology & Parasitology sections. I am a team person, optimistic by nature, a keen learner and enjoy working hard. These qualities have me helped to get National Accreditation of our Mycobacteriology laboratory. I aim to further my interests in Diagnostic Microbiology. I would like to work in the areas of rapid identification of microorganisms especially slow growing organisms which will further help in the patient care. I have National & International publications to my credit. I enjoy writing scientific articles which help to share my research work with others. I am well versed with all programs of computers and use it extensively in my day-to-day work and scientific presentations and research work. I am fluent in English, Malayalam, Hindi, and Marathi. My special interests are gardening & cooking. I have two daughters who are in school. I enjoy spending my holidays with them. I am thankful to Dr. Avinash Supe, Director, FAIMER Course for giving me this golden opportunity to be part of GSMCFAIMER® Institute 2011. I am eager to meet all the fellows from different parts of the world with different professional background. Hope together we make a great team!!! 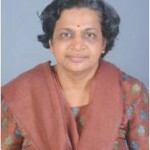 I am Seema currently working as an assistant professor in the Dept. of Physiology in KJSMC, Mumbai. My special interests are in integrated teaching and developing resources for integrated teaching. I am mainly involved in teaching medical students and other allied health sciences students and try to do it with innovative methods. I was born in New Delhi. I completed my schooling there. My father is a retired school Principal and my late mother was school Vice Principal. I did my MBBS from Lady Hardinge Medical College, New Delhi (1998) and MD (Physiology) from Maulana Azad Madical College, New Delhi (2002). After completing my MD, I worked with Medical education Companies like Mediworld Publications and Indegene Life Systems as Medical editor and Senior Project Manager respectively. After that I joined as Manager Medical services at UCB Pharmaceutical. I am at KJSMC and been working as assistant Prof. for 2 years now. I have a son who is 5 years old and will be starting Sr KG from mid- june. I am a fitness freak. I like to play table tennis, carom, pool and I also do my workouts at gym regularly. I love reading. My favorite author is „Paulo Coelho‟. I enjoy good food, playing with my son, spending time with family and travelling. I believe that “Whatever you do in life, do it with full conviction and to the best of your capabilities”. I feel privileged to be given an opportunity to meet others with a similar goal of improvising in field of medical education through varied new and interesting methods and techniques. In fact I am really looking forward to meet each one of you. I hope it would be a good learning experience and we would be able to utilize and implement the knowledge gained into my teaching for benefit of students and for the institutions we represent. I am sure the whole experience would contribute towards our personal and professional growth. Looking forward to meet the faculty and the other fellows at Mumbai. 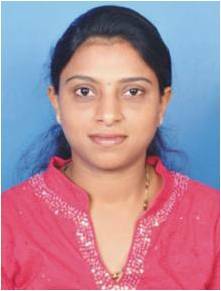 I am Dr. Smita S. Chavan, currently working as an assistant professor in the Dept. of Community Medicine, in LTMMC & GH, Sion, Mumbai. Since last two years, I am working as incharge for undergraduate teaching including medicine, physiotherapy, occupational therapy, nursing, etc. While working for undergraduate teaching we always use advanced teaching technology and try to modify the teaching session electronically with recent updates. We always try to make the medical education interesting to understand it better. I was born in Yavatmal District, Maharashtra. I completed my schooling there. My father is retired govt. employee and mother is housewife. 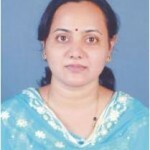 My husband is Consultant Paediatrician in Vasai, Distt. Thane and we are blessed with One year old baby boy. I did my MBBS in Govt. Medical College, Nagpur (2002) and MD (PSM) in T.N.M.C. & B.Y.L. Nair Ch. Hospital, Mumbai (2009) and subsequently joined the faculty in the Dept. of Community Medicine in LTMMC & GH, Sion, Mumbai. I love to learn advanced things & update myself and also I like to read and write. I enjoy cooking. I love to be with my family. I believe in God & think that He will also help them who wish to achieve something with hardwork. It’s a great opportunity to be the member for FAIMER course and really looking forward for the so many curious things to come to my way. I really thanks the team for the same. I am Sonu, currently working as an associate professor in the Dept. of Community Medicine in Kasturba Medical College, Mangalore, Karnataka. I hail from the beautiful hill state of Sikkim where I grew up with 5 other siblings and I also did my schooling there. 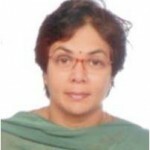 Higher studies took me to Delhi and I did my MBBS (1995), MD in Preventive and Social Medicine (1999) and DNB (2000) from Lady Hardinge Medical College. Post MD, I have worked at various places ranging from Senior residency in Delhi, Surveillance Medical Officer in a World Health Organization & Government of India project in Uttar Pradesh to now a faculty member in a medical college. Being single has given me the freedom to try different jobs and different places so I get to do what I like i.e. travel. My present responsibility entails teaching and training of undergraduate students and interns in Community Medicine. I am also involved in teaching of undergraduate and postgraduate students of allied health sciences. Research takes an important place in the departmental activities. I have been teaching continuously for over 8 years now and as time goes by I like it even more. At the same time I also realized that there are things that can improve in our medical education system and was seeking ways to be part of something that will bring about such a change. This is how I ended up applying for FAIMER fellowship. It is an exciting prospect for me to be part of this programme whereby we would be learning a great deal, not only from the experts in the field of medical education but also from each other. Actually, having a fellow within the department has given me a peek at the activities that will be done during the first session and I am eagerly looking forward to it. My sincere gratitude for this wonderful opportunity. 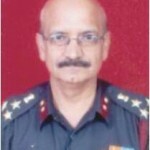 I am Brig Sukesh Kumar Kathpalia, at present posted at Armed Forces Medical College, Pune as Professor and Head of Department of Obstetrics and Gynaecology. My special interests are in undergraduate education of interactive variety. I look forward to introducing innovative ideas which would interest the young minds and make them analyze and think on their own. I have tried ‘Group Discussion, recently which was liked and appreciated by students. 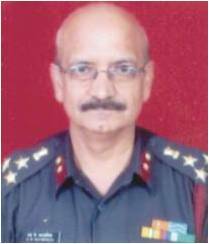 I come from a humble back ground, was born and brought up in a small town Karnal, Haryana till I joined AFMC Pune in 1974, did post graduation also from the same institute. Have worked in military hospitals of different sizes at varied locations. I have tried my hand at painting; won an international prize from Japan and held a few exhibitions. We have two grown up children; daughter married and working as fashion designer in New Zealand, son an engineer from NIT and presently employed with Jindal Steels. My life partner is a junior classes teacher by her own choice and great aptitude for teaching toddlers. I believe in solving most of the interpersonal situations by having a dialogue and then ‘Move On’. I am looking forward to meeting everyone during the course and learn from teachers and each others. I was told that this course is going to open new horizons. 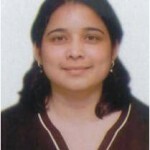 I am Uma Shinde, currently working as an Associate professor in Biochemistry at Seth G.S.M.C., K.E.M. Hospital, Mumbai. My interests are teaching, research and trekking. I wish to get more familiarized with e- learning, new teaching methodologies and trends. I am involved in teaching students of medicine and other allied health science courses. I would love to go in for various innovative methods in teaching. Born in Phaltan in Satara District of Maharashtra I did my schooling and college education (graduation and post graduation, both) in Mumbai. I attended T. N. Medical College and The Institute of Science to complete my Masters and Doctorate from University of Mumbai. 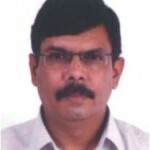 I began my career as lecturer in Biochemistry at T. N. Medical College, Nair Hospital, Mumbai. Later, my promotion to the post of Associate Professor also coincided with my transfer to Seth G. S. Medical College, K. E. M. Hospital. We are a small family of three; myself, my husband Hemant ,an architect by profession and my daughter, Rewa, doing Medicine in Pune ,Maharashtra. I like to write short articles in Marathi and go for trekking. I look forward to join this course to learn about new methods in teaching technology. It will also present an opportunity to interact with the national and international faculty members. I hope the knowledge will be of considerable help when applied in my routine course of teaching. I „Dr. 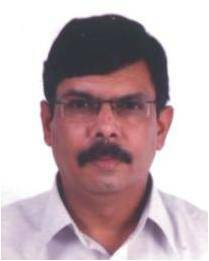 Vijay S. Singh‟ am working as Associate Professor, in Preventive and Social Medicine Department, at Lokmanya Tilak Municipal Medical College & General Hospital (LTMMC&GH), which is one of the Prime Medical Institute run by Municipal Corporation of Greater Mumbai. I did my schooling and junior college in Ulhasnagar a suburban area near Mumbai and medical education UG & PG from Topiwala National Medical College & BYL Nair Hospital Mumbai. I have joined LTMMC&GH on 16/2/1989 as a lecturer in the dept. of PSM was promoted as Associate Professor on 04/01/2001. Currently my job description include teaching to Medical and paramedical undergraduate and postgraduate students, and taking part in all the intra & interdepartmental activities. I try to keep myself updated and do excellent in my academic carrier. I belonged to a middle class family hailing from Meerut Cantt. a city in North India. I was born on 24/08/1962 in New Delhi. My father late Shri Sukhdev Singh was a Govt. servant working as Medical Stores Officer in Armed Forces Medical Depot. Ministry of Defence, Govt of India. In the year 1965 he got transferred to AFMD in Mumbai and settled in Ulhasnagar. He was a social worker and Chairman of teacher‟s education society and president of a higher secondary School. 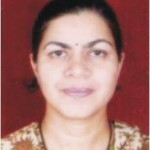 I got married on 18/5/1994 to Dr. Sandhya Singh, is doing full time private practice. We have two kids, daughter Niti is in 10th standard and son Sagar is in 3rd standard. Niti has inclination towards medicine. With this era of competition everywhere, I feel that there is a definite gap occurring between what teachers want teach and what students want to learn. Every teacher has his own method of teaching and there are no standard guidelines. This like a generation gap occurring between the traditional methods of teaching and newer concepts in learning. Somehow I wanted to know, the way out to bridge this gap. I came to know that if the FAIMER course is done than it will definitely help me to solve all my queries. I will be able to learn how to conduct research in medical education to get answer to unsolved questions. This is the main reason why I am interested in doing this course. I will be happy & feel lucky to contribute to current medical education. Beside this passion I am also interested in listening music, singing song, touring and playing indoor games like carrom & chess.